Franz Schubert composed his Symphony No.8 in 1822, but never completed it, making only two movements along with an outline of a third. 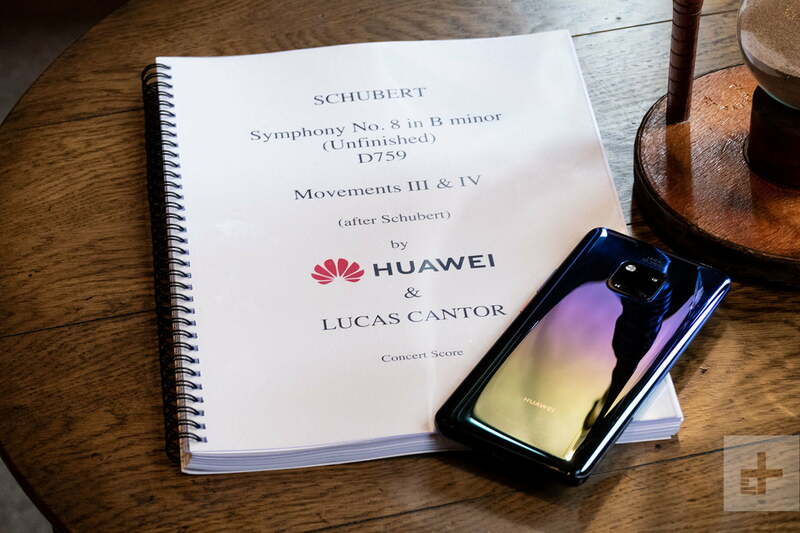 Nearly 200 years later, Huawei, Emmy-awarding composer Lucas Cantor, and artificial intelligence (A.I.) inside the Mate 20 Pro smartphone have done what the renowned composer didn’t. They’ve finished the unfinished symphony. The project is a continued illustration of not only the power of Huawei’s Kirin 980 processor and Dual-Neural Processing Unit (NPU) artificial intelligence accelerator, but also the potential for using A.I. in varied creative projects. We’re familiar with A.I. modes on smartphone cameras, and Huawei has previously demonstrated the power and speed of its A.I. in a self-driving car, where a phone was used to identify and help avoid obstacles. Surely, completing Schubert’s No. 8 Symphony is an entirely different proposition? Can a smartphone and on-board A.I. really finish one of the most famous unfinished musical works, and do so in a way that we’d want to hear? 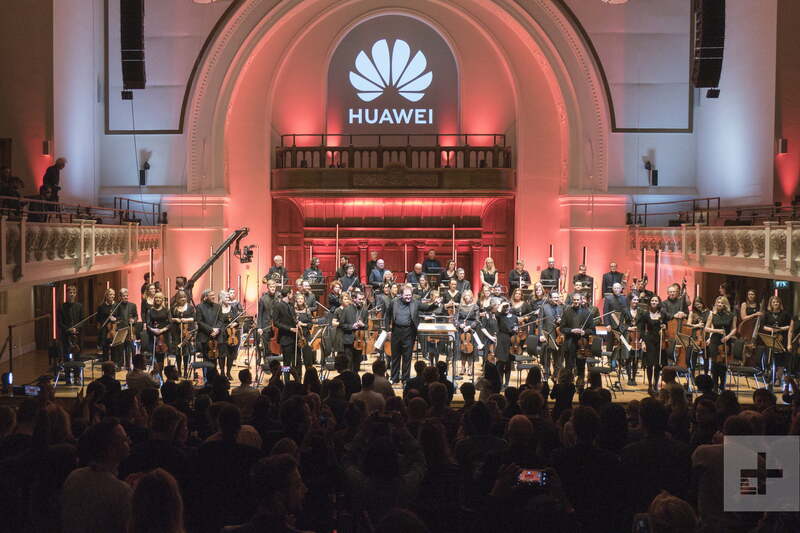 Digital Trends attended the first ever public performance of the completed piece in London, and spoke to Lucas Cantor and Huawei about this fascinating project. Just how much did the Huawei Mate 20 Pro and its A.I. contribute? 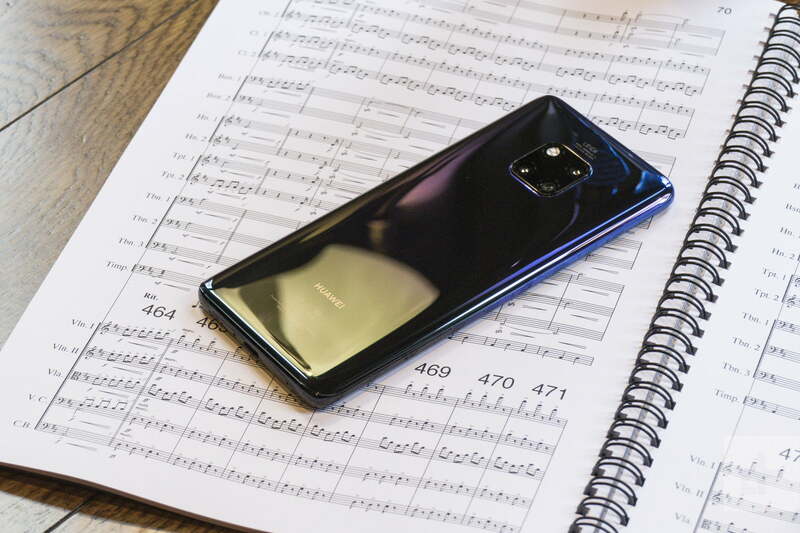 “The entire melody [for the third and fourth movements] was composed using artificial intelligence and the Mate 20 Pro,” Huawei’s head of handset portfolio, Arne Herkelmann, told Digital Trends. The phone and its chipset are entirely unmodified, and exactly the same as the Mate 20 Pro you may have in your pocket. But Huawei made a specific A.I. model to understand and develop the music, which was given Schubert’s first and second movements, and then by analyzing the timbre, pitch, and meter of the music, it generated the third and fourth movements. Training the A.I. was almost like sending it to school, just with a laser focus on a single subject — make music like Schubert. MIDI files were used, rather than school books, from which it learned patterns and structure. Huawei generated 20 different models over the six month project, before settling on a final one, during which time the A.I. was given around 90 pieces of Schubert’s work as reference. This approach helped the A.I. better understand its task. 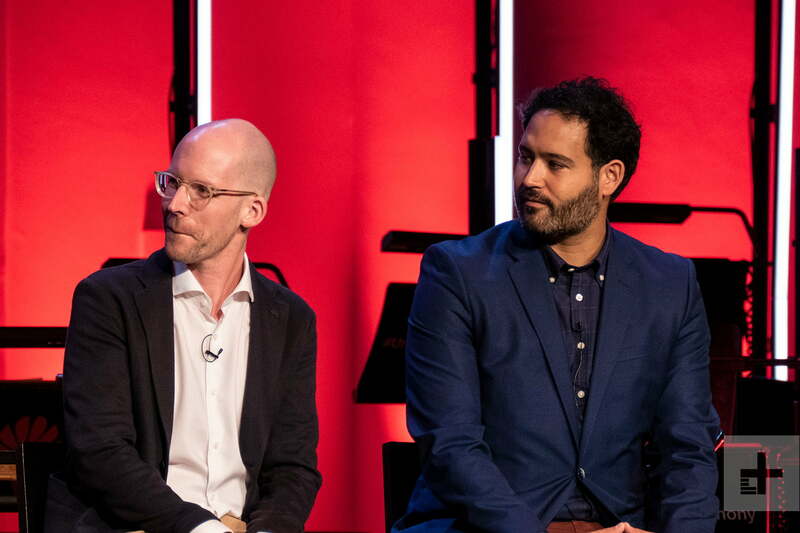 It also needed training to make sure it came up with a melody suitable for Schubert, and didn’t suddenly make a melody better suited to a bizarre pop version of Schubert’s unfinished symphony. As the melody came to life, it was composer Lucas Cantor’s job to orchestrate the piece, to give it emotion, and to help teach the A.I. and correct its mistakes. It took him just 30 days to come up with the completed third and fourth movements of the 8th Symphony. He called this an otherwise impossible time-frame without the A.I. Lucas Cantor is an Emmy-awarding winning composer currently writing music for DreamWorks Animation, among other projects, and he turned out to be the ideal man for the job. Long before the project, his personal interest in artificial intelligence was the basis for a friendship with one of the engineers working on Huawei’s A.I., a fortuitous meeting that eventually led to the company contacting him to finish the unfinished symphony using A.I. Although the idea of using artificial intelligence and technology to create, enhance, or augment music sounds futuristic, it has been going on in one form or another for decades. It’s easy to dismiss A.I., or perhaps even Cantor, as a sleeping partner — that one was more influential than the other. So what was the split? How much of the completed piece is Cantor, and how much is Huawei’s A.I.? What Cantor brings is understanding, experience, and emotion — things the A.I. is unable to replicate. 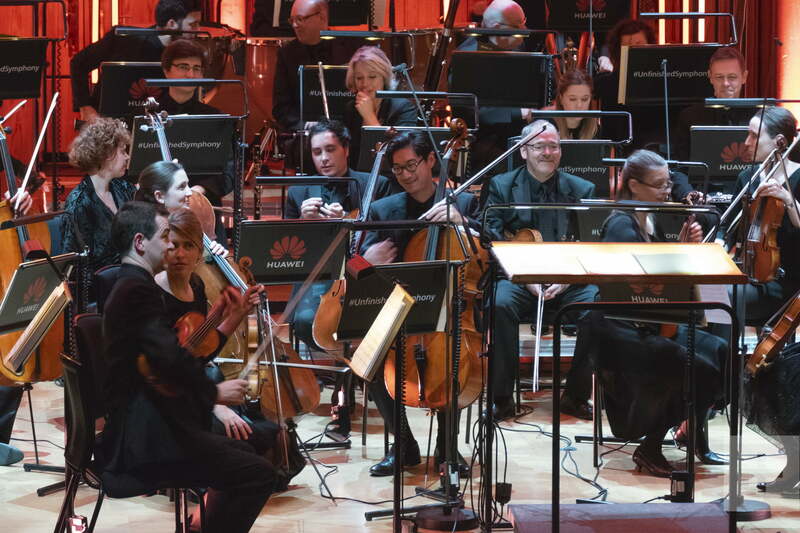 “What you’re hearing is a coming together of many years of expertise,” he said, speaking about himself, the conductor, the musicians, and Huawei’s technological knowledge. One could not have done it without the other. The deeper we spoke about the way the movements had been created, the more Cantor revealed about the A.I.’s ability. If I wasn’t told the third and fourth movements were created by artificial intelligence, I wouldn’t have known. Fascinatingly, Cantor talks about beginning to form a relationship with the smartphone and the A.I. At times through our conversation, he spoke about it in a manner with which one may talk about another person. “I know it doesn’t have feelings, but I keep ascribing feelings to it,” he said, laughing. As unusual as it sounds, doing this may have had an interesting effect on the finished piece. “Me attributing feelings to it helped me get a more robust creative product out of it,” Cantor said. 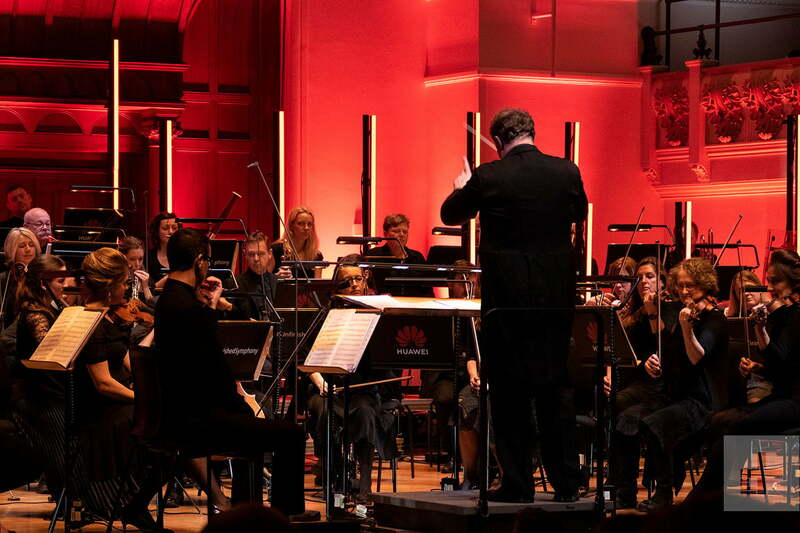 Performed at London’s Cadogan Hall in prestigious Chelsea by the 67-piece English Session Orchestra, the completed piece lasted for 48 minutes, compared to the 27 minutes of the original two movements. If I wasn’t told the third and fourth movements were created by artificial intelligence, I wouldn’t have known. There was nothing digital, generic, or soulless about it. Playful, soaring, and at times rather epic, Cantor’s A.I.-generated movements carried over motifs from Schubert’s original movements, and managed to add unique elements to them. Not being a music critic, or classical music expert, it’s difficult to say how well the new movements “fit” with the originals, but that’s not really the point. 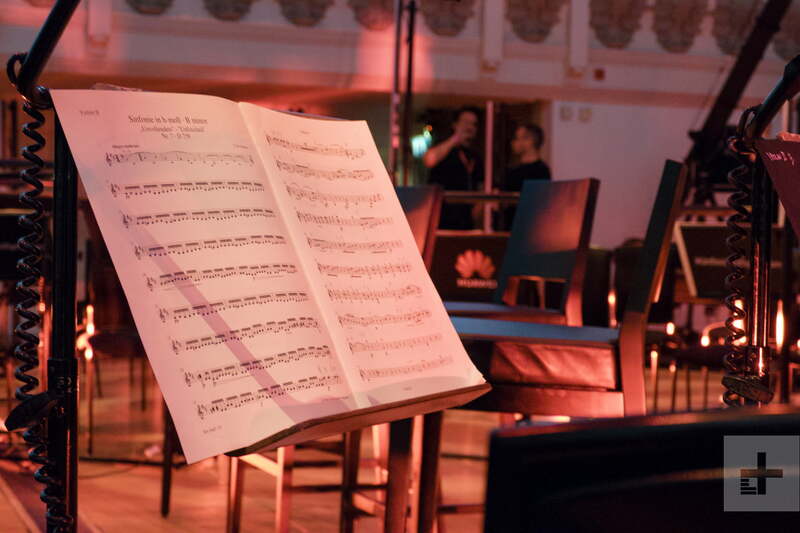 None of the team set out to create the definitive finished version of the unfinished symphony, and it’s not the first time the piece has been completed by other musicians either. The answer of whether it was a success, or not, will be a subjective one. However, we can say that a memorable, emotional piece of music was created. We shouldn’t really be surprised that it worked so well either. From the electronic music of Jean Michel Jarre, bands like the Pet Shop Boys being creatively enabled by the Atari ST computer, and digital vocalists like Hatsune Miku and Crypton Future Media’s other Vocaloid software giving musicians the chance to make music they wouldn’t normally be able to — music and high-tech have been converging in fascinating new ways for years. What will A.I. finishing the Unfinished Symphony mean? Is it purely a promotional tool for Huawei, showcasing its A.I. talent, or is there something more? While we doubt Huawei will start finishing the many other unfinished pieces out there, the music industry is already paying attention to the possibilities. Singer-songwriter Taryn Southern used A.I. programs to produce her I Am AI album, for example. The potential for artificial intelligence to be used in creative scenarios is being seen across all industries, not just music. Paintings made by A.I. have sold for hundreds of thousands of dollars, A.I. in our smartphones is helping us become better photographers, and A.I. in editing tools is helping professionals and amateurs alike make images look even better. Artificial intelligence is already a creative force. We asked Cantor if this was a one-time thing for him. “I certainly hope it’s not the last time [I collaborate with A.I. ], it has been fantastic,” he said. But what about the wider impact of music and artificial intelligence coming together? He made an exciting prediction. “In a few years, I don’t think it will be unusual at all to compose music this way,” Cantor said.